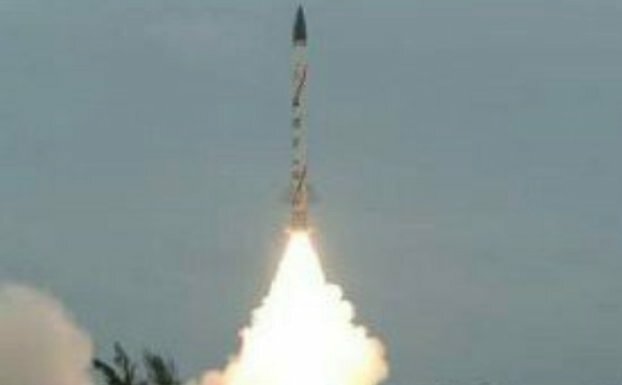 ONI Bureau: India successfully test fired the surface-to-surface short-range tactical ballistic missile Prahaar from the Odisha coast amid a heavy downpour on Thursday. The missile developed by the Defence Research and Development Organisation (DRDO) was test fired from launching complex-III of the Integrated Test Range (ITR) in Balasore at about 1.35 p.m. The missile was launched from a road-mobile launcher, defence sources said. The Prahaar missile has a strike range of 150 km. Fuelled by solid propellant, it is about 7.32 meters long and its diameter is 420 mm. Its launch weight is about 1.28 tonne and it can carry a payload of 200 kg.